Lophelia, a cold water coral that grows in the deep waters of the North Atlantic, may face further threats in a changing ocean. Langoustine larva (Nephrops norvegicus); a commercially important species for the UK. Fossil foraminifera (calcifying plankton) from the Eocene period of Tanzania; the largest fossil is about 1mm in diameter. Controlled environment laboratory at the Centre for Sustainable Aquatic Research (CSAR), Swansea University. Herring larvae (Clupea harengus); a commercially important species for the UK. Long-term laboratory study of the effect of ocean acidification on key benthic organisms. Difference in surface pH between the present day and 2100. Models have estimated that in the last 30 years there has been an average decrease of 0.05 pH units. On board experiment set-up to study natural phytoplankton communities. 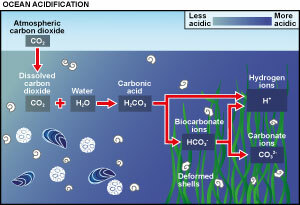 The term ocean acidification is used to describe the ongoing decrease in ocean pH caused by human CO2 emissions, such as the burning of fossil fuels. It is the little known consequence of living in a high CO2 world, dubbed as the “evil twin of climate change”. The oceans currently absorb approximately half of the CO2 produced by burning fossil fuel; put simply, climate change would be far worse if it were not for the oceans. However, there is a cost; when CO2 dissolves in seawater it forms carbonic acid and as more CO2 is taken up by the oceans surface, the pH decreases, moving towards a less alkaline and therefore more acidic state. Already ocean pH has decreased by about 30% and if we continue emitting CO2 at the same rate by 2100 ocean acidity will increase by about 150%, a rate that has not been experienced for at least 400,000 years. Such a monumental alteration in basic ocean chemistry is likely to have wide implications for ocean life, especially for those organisms that require calcium carbonate to build shells or skeletons. Ocean acidification is a relatively new field of research, with most of the studies having been conducted over the last decade. While it is gaining some attention among policy makers, international leaders and the media, there is still much to be understood about the issue itself, how it will effect the marine environment and the subsequent impact upon society. 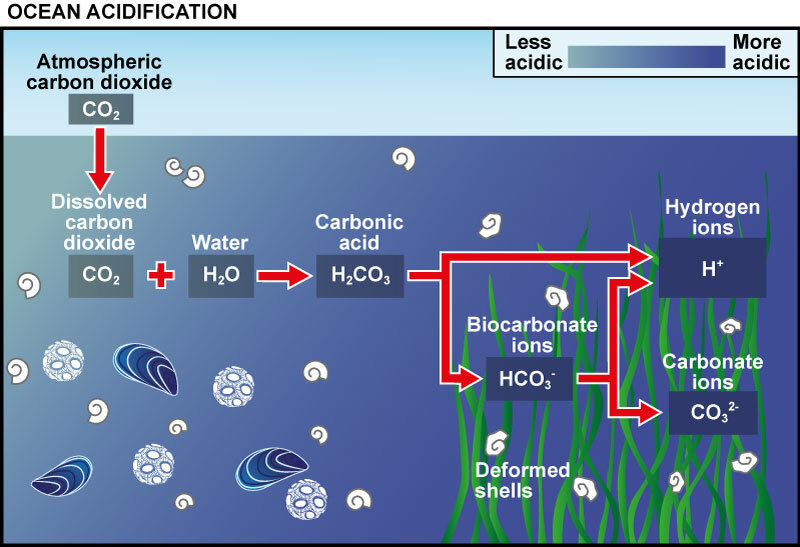 The UK Ocean Acidification Research Programme (UKOA) works alongside the international partner programmes Biological Impacts of Ocean Acidification (BIOACID), European Project on Ocean Acidification (EPOCA), Mediterranean Sea Acidification in a changing climate (MedSeA) and U.S. 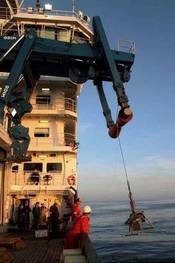 Ocean Carbon and Biogeochemistry Programme (OCB). What has the UK Ocean Acidification research programme (UKOA) told us? Summary of findings and recommendations.